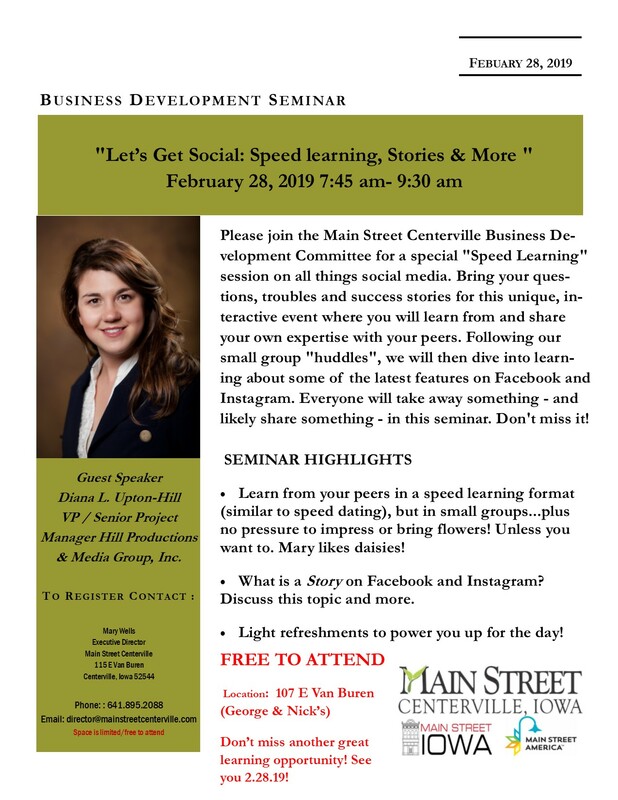 Please join the Main Street Centerville Business Development Committee for a special “Speed Learning” session on all things social media. Bring your questions, troubles and success stories for this unique, interactive event where you will learn from and share your own expertise with your peers. Following our small group “huddles”, we will then dive into learning about some of the latest features on Facebook and Instagram. Everyone will take away something – and likely share something – in this seminar. Don’t miss it! What is a Story on Facebook and Instagram? Discuss this topic and more. Light refreshments to power you up for the day!